Wynantskill - Constance L. Krogh, 89, of Wyla Way died Saturday, August 11, 2018, at her home with her youngest daughter Lisa, and her three children by her bedside. Born in Mechanicville, she was daughter of the late Gerald Crowley and Edith and Ralph Smith and wife of the late Howard C. Krogh. She graduated from Mechanicville High School at the age of 15. Connie was raised in Mechanicville, but has resided in North Greenbush since1966. 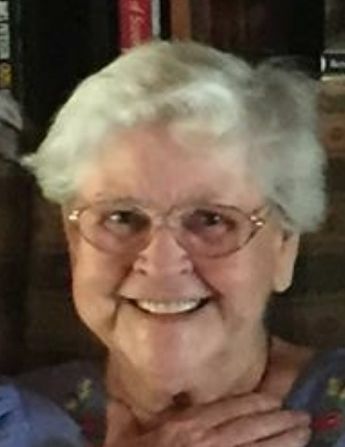 She was a draftsman for General Electric, a record keeper for Montgomery Wards, and the owner and operator of the Artistic Lounge in West Sand Lake. Connie was a great mom who struggled hard to always provide the best for her family. She was often found working in her beautiful gardens in the spring, summer and fall or doing beautiful crochet work in the winter. Always comical and quick witted, "Always leave them laughing!" She'd say... A true lover and protector of all individuals and animals who needed it. She is survived by her children, Lisa Adrienne Wendell and her long time partner Peg Wharton, Pamela Ryan and her husband Philip, and Scott Burgoyne and his wife Karen; her sister, Chiquita Myers and sister- in- law, Patricia Crowley. Along with several grandchildren, special friends, nieces and nephews. Relatives and friends may call at the DeGraaf-Bryce Funeral Home, Inc. 4392NY150, PO Box 275West Sand Lake on Tuesday, from 4- 7PM. A graveside service will be held Wednesday at 2PM(PROMPTLY) at Elmwood Cemetery on the corner of NY Route 150 and Shaver Road in West Sand Lake. A special thanks also goes out to the staff at Hospice for always providing loving care when we needed you. Thank you. In lieu of flowers contributions may be made in memory of Constance L. Krogh to the Mohawk and Hudson River Humane Society 3 Oakland Avenue Menands, NY 12204, the Capital City Rescue Mission PO Box 1999, 259 South Pearl Street Albany, NY 12202 or The Community Hospice (Gift Processing Center)310 S. Manning Blvd.Albany, NY 12208.